This creamy Paleo Pumpkin Potato Soup is dairy and grain free, and you won’t miss the milk or wheat! The ingredients are simple, and it’s really easy to make. It’s the perfect weeknight meal to warm up those cool Fall evenings! The soup also dresses up nicely if you’d like to serve it to guests. All 4 of my kids loved this soup! Before we get to the recipe for Paleo Pumpkin Potato Soup, I want to invite you to join with others who are making healthy changes. I’d love to walk alongside you in your journey towards wholeness and health! 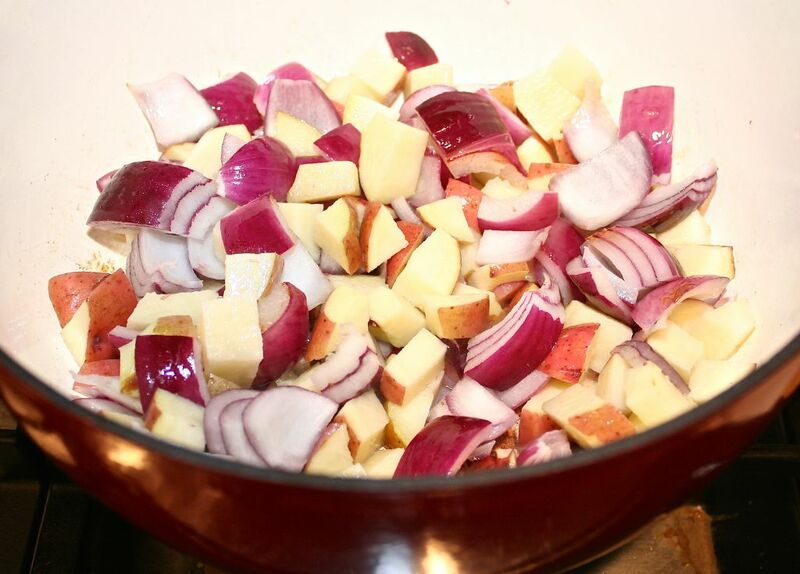 Sauté the onion and potatoes in coconut oil in a large dutch oven (you really need one of these for soup season!) until they’re brown and soft. Add the garlic for the last couple minutes. Sprinkle with sea salt and pepper. The purple onion adds a beautiful color to this dish! Stir in the rest of the ingredients, except for the chicken, pecans, and sage, and heat to simmering. Once the soup is simmering, use an immersion blender to purée it. Make it as smooth or chunky as you’d like. If you don’t have an immersion blender, you can pour it into your counter top blender, instead, but the immersion blender does work better. I use my immersion one a LOT this season! Add the chicken, pecans, and sage, and enjoy! Serve Paleo Pumpkin Potato Soup with Buckwheat Walnut Bread or Paleo Biscuits. 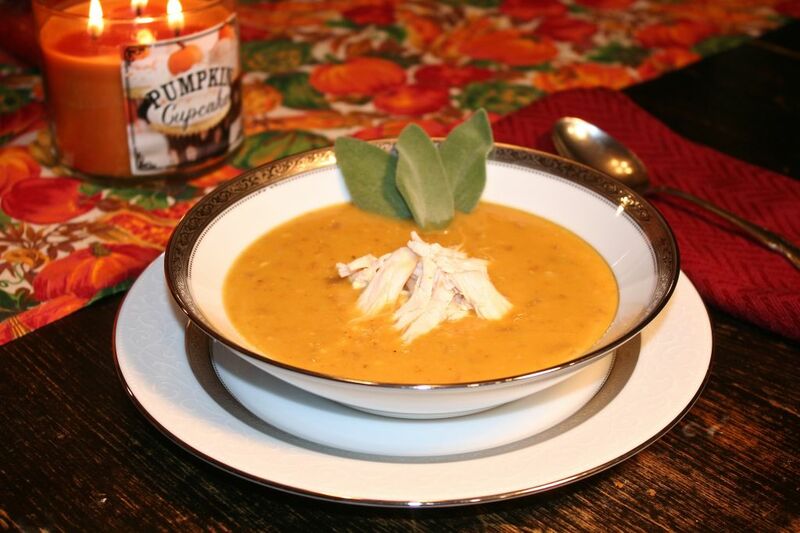 4 Responses to "Paleo Pumpkin Potato Soup"
I made this for supper tonight. So good! Thank you!